We remain true to our strengths! 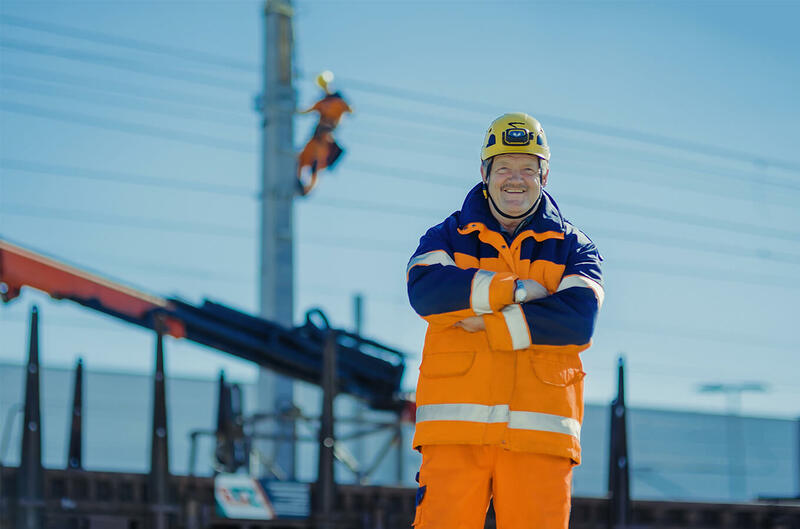 As an internationally recognised specialist for catenary systems and overhead power line systems we have relied on the principle of maximum quality for nearly 100 years: maximum quality in planning projects, executing construction works, managing our infrastructure, developing innovative technologies and especially in training our roughly 580 employees. For us, maximum quality means to find the best solution for every challenge. Our list of references proves the success of our way of thinking and acting. EUROPTEN is proud of its accomplishments and its staff and will continue to rely on its comprehensive know-how, experience and flexibility and keep up reliability, values and fairness – in short: Promised. Done. EUROPTEN. Acquisition of the Slovenian TEGRAD gradnja železnic d.o.o. 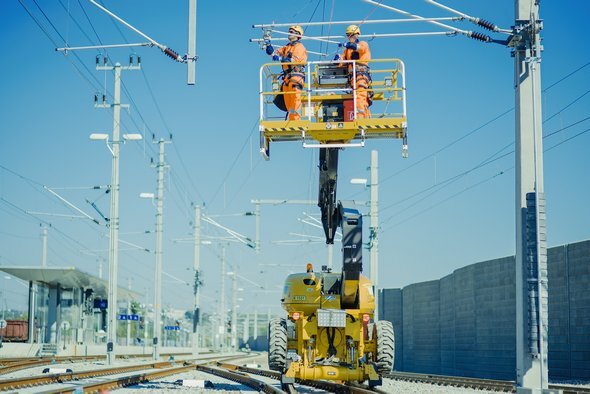 in April 2018 and strengthening the catenary business unit. Shares in EUROPTEN previously held by PORR were taken over by the Androsch Privatstiftung and Dörflinger Privatstiftung. Each of them holds 50% of the shares in European Trans Energy Beteiligungs GmbH. Company foundation EUROPTEN Transmission Germany GmbH, based in Berlin. Company foundation EUROPTEN Schweiz AG, based in Dübendorf. Acquisition of 65% stake in RISMANN s.r.o., based in Svidník, Slovakia, and expansion of the overhead line business. Acquisition of ALTRASS Freileitungstechnik GmbH as a wholly-owned subsidiary of EUROPTEN in October 2010 to expand its competences. 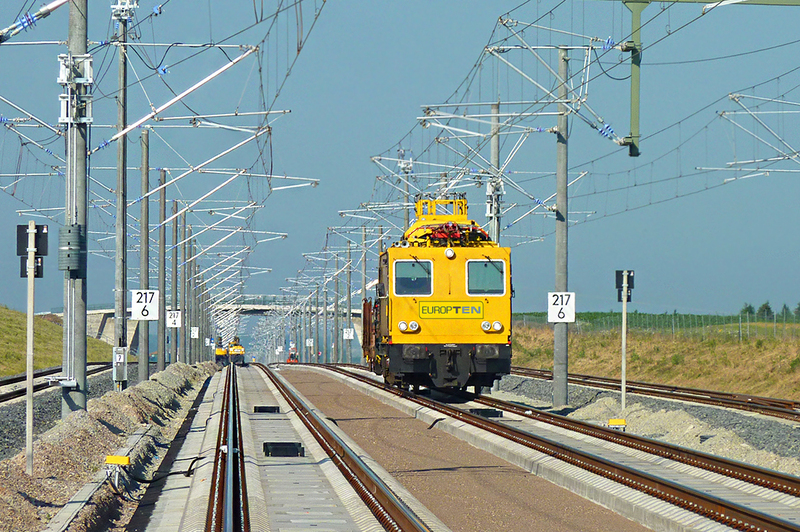 With effect from 30 October 2006 the Overhead Lines and Catenary Systems division of VA TECH T&D was sold to European Trans Energy Beteiligungs GmbH (49 % PORR Bau GmbH, 25.5 % Androsch Private Foundation and 25.5 % Dörflinger Private Foundation). 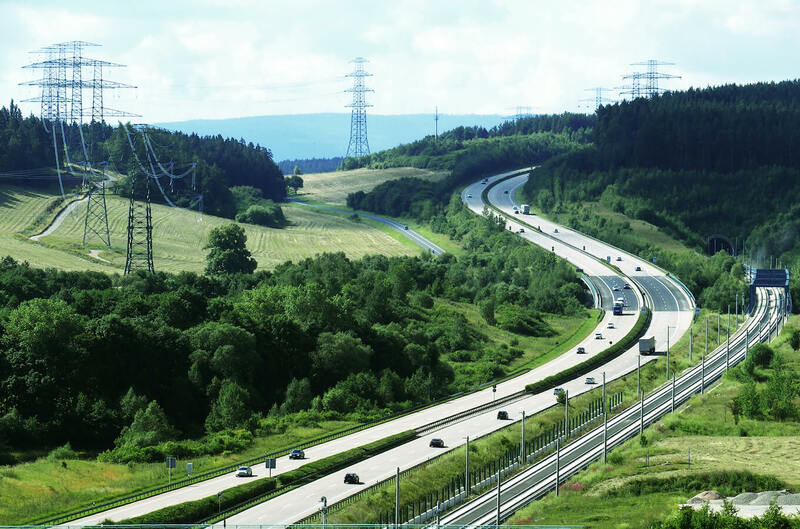 Acquisition of the Transmission and Distribution division of the Austrian VA TECH Group by Siemens Power Transmission and Distribution. The Planning Bureau Leipzig (PBL) started to work in January 2003 with a team of top-qualified and experienced planning engineers. 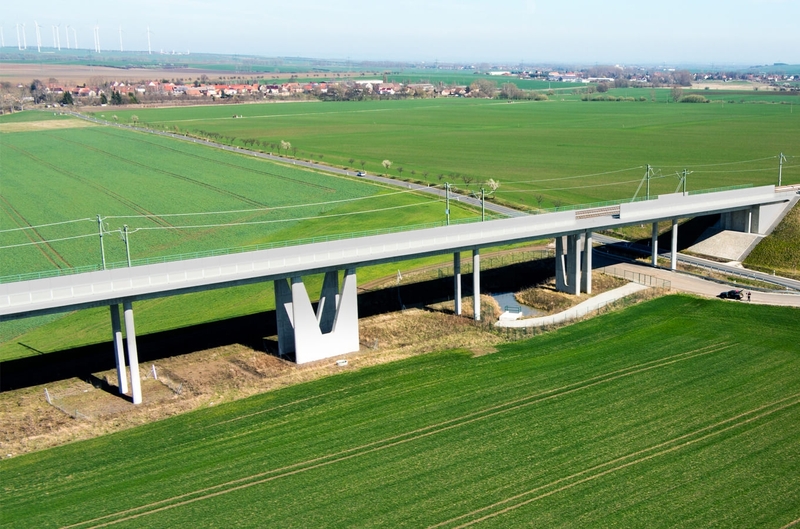 The Competence Centre for Planning Catenary Systems and Overhead Power Lines was founded in December 2002 at the Leipzig location. 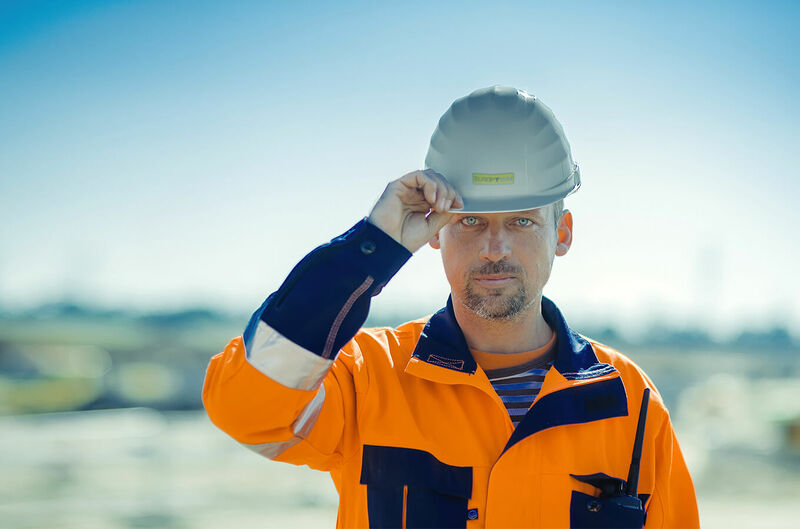 Formation of a joint venture with Schneider Electric – VA TECH Schneider High Voltage GmbH. VA TECH T&D held a share of 60 % in the joint venture and took over the strategic leadership. With effect from 1 January 2000 the acquisition of Sulzer Hydro (with the ESCHER WYSS trademark) substantially strengthened the business division for hydraulic power generation. Reorganisation of VA TECH ELIN into VA TECH HYDRO and VA TECH Transmission & Distribution. For being known on the market as a common brand all companies of the VA TECH Group used the name VA TECH at the beginning of their company names. The official company name of ELIN Energieversorgung was changed into VA TECH ELIN GmbH & Co in September 1999. Dissolution of Austrian Industries and foundation of two new holdings: VA Technologie AG (in short: VA TECH) and VA Stahl AG. ELIN Energieversorgung belonged to VA TECH. Initial public offering of VA Technologie AG with 51 % of its shares in May 1994. At the end of September 1989 but with effect from 31 December 1988 the operational activities of ELIN-Union Aktiengesellschaft were transferred to its successor companies, ELIN Energieanwendung GmbH and ELIN Energieversorgung GmbH. ELIN -Union Aktiengesellschaft für elektrische Industrie became a subsidiary of the newly-founded Elektro- und Elektronik-Industrieholding AG. Merger of ELIN with AEG-UNION which had incurred heavy losses. The company name was changed into ELIN-Union Aktiengesellschaft für elektrische Industrie. The Austrian National Council passed a unanimous resolution to nationalise numerous key companies including ELIN. ELIN was commissioned to electrify the railway line between Kufstein and Kitzbühel. Therefore ELIN Leitungsbau founded a new division for the construction of catenary systems. The name of the company was changed into ELIN Aktiengesellschaft für Elektrische Industrie. The Viennese Gesellschaft für elektrische Industrie was commissioned to build the railway line between Linz and Hiesendorf which was part of the first 110 kV line in Austria between Linz and Steyr. The HW (high-voltage lines for wide span systems) division was founded to carry out this first large-scale line construction order. This division was the origin of ELIN Leitungsbau. After the Second World War Austria had no access to traditional raw materials. Due to the lack of coal and crude oil Austria intensified its use of hydropower. The usual range of products was replaced by military orders. A division for missiles was founded in 1914. The company supplied the Austro-Hungarian navy with three-phase motors for submarines, switchgears and switchboards. The Gesellschaft für elektrische Industrie took over the plant of Mr. Franz Pichler. Mr. Pichler was appointed managing director for a lifelong term. The plant of Mr. Pichler was developed into an electrical plant. The Viennese Gesellschaft für elektrische Industrie became a silent partner. 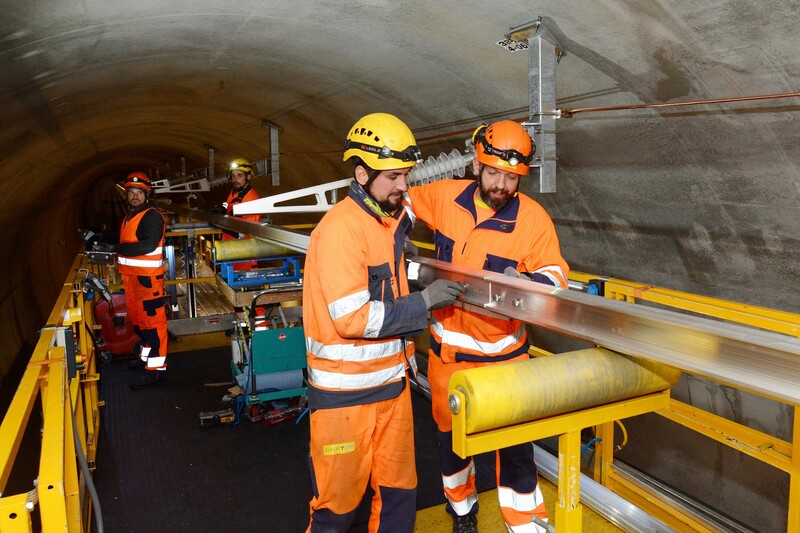 After the Gotthard Tunnel the Ceneri Base Tunnel is the second biggest tunnel building project of the ‘New Railway Link through the Alps’ (NRLA) in Switzerland. This route is aiming at improving the rail transit traffic from north to south and at shifting goods traffic from road to rail. Europten has installed a new catenary system at the Vienna Inzersdorf Terminal of the Austrian Federal Railways so that the goods traffic can be handled in an even more environmentally friendly way. 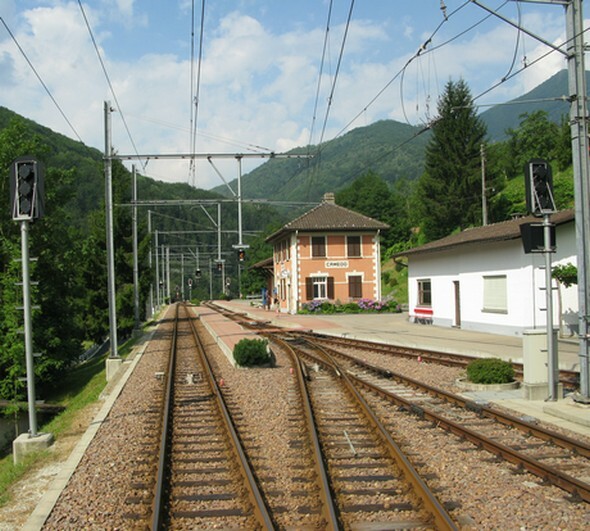 FART SA, based in Locarno, Switzerland, operates the narrow-gauge railway, with a gauge of one meter, from Locarno in the canton of Ticino through Centovalli to the Swiss border in Ribellasca, Italy. The catenary system is a maintenance-intensive catenary system that dates back to the 1950s. 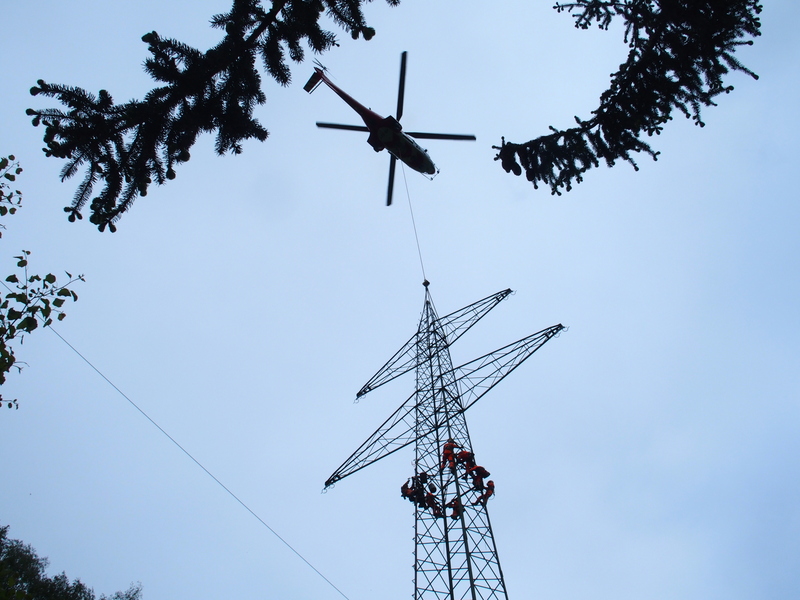 The 66-year-old overhead power line needed an extensive overhaul. EUROPTEN was commissioned with the general overhaul at construction section 1.